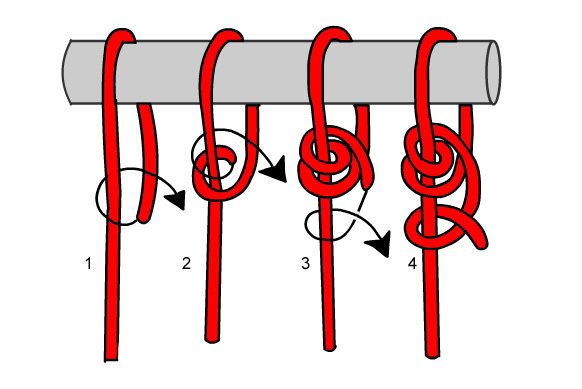 When you go to tie something to the roof of your car, do you know how to tie good knots? You just need two kinds. One to never slip and one to adjust easily. 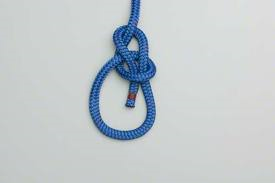 There are lots of fancy knots, but a bowline and a taut-line hitch will do most of what you need. The harder you pull on a bowline knot, the tighter it gets. It won't slip. I tell my kids the same way I was taught. "The rabbit comes up out of the hole, goes behind the tree, sees the fox, runs around the other side and ducks back down the hole. The tree has to be behind the hole." Take the pressure off the loop of a taut-line hitch and you can easily adjust it by sliding the knot on the standing part of the rope. The last hitch can go either direction. 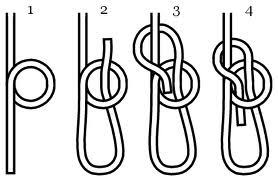 With no tension, just grab the knot and slide it to adjust. Under tension, it tightens up. You may never need to lash two poles together, but if you ever do, this is one way. 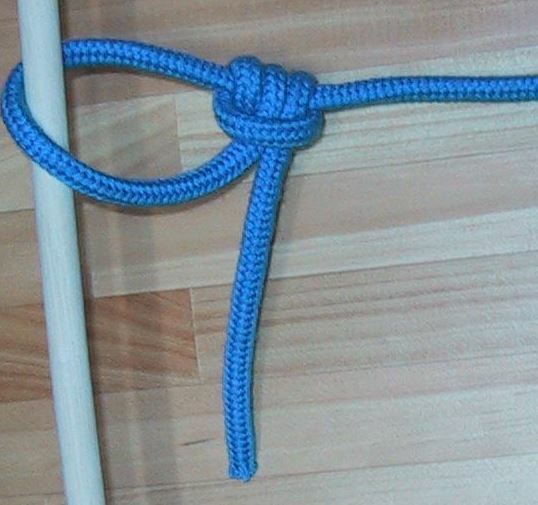 Then knot in figure 1 used to start the lashing is a clove hitch, another useful knot for tying a rope to a pole or post. 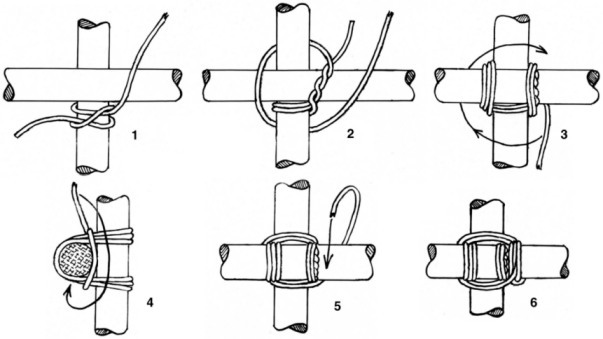 It ends in figure 6 with another clove hitch. Everyone should have a 100 foot hank of 550 cord, AKA parachute cord on hand. 550 stands for the breaking strength in pounds. You can tow a car out of a ditch with a few loops of this cord.